Top SEO Secret: How & Why to Target Long-Tail Keywords? Let’s face it – the Internet is flooded with tons of articles claiming numerous benefits you can potentially get when targeting long tail keywords. But what those articles lack most of the time is real-world, practical examples that can give you a clear idea of what long tail keywords actually are and how you can apply them in your SEO strategy. In this blog, we’re going to fix this omission and explain about how you can target. But before we continue, I just want to quickly remind you what long tail SEO is all about. The long-tail search keywords have always been challenging. They are highly specific search phrases with low search volume, which communicate certain searcher intent clearly. Because of their specificity, long-tails are usually three or more words long. 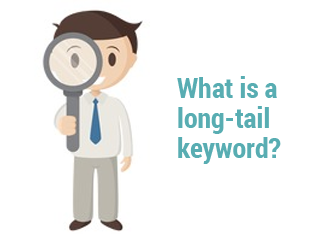 So if you considering the list of keywords, you can normally tell which ones are long-tails by asking yourself, “Which of these terms have a clear, unambiguous, specific intent behind them?” after knowing the importance of long-tail keyword let us understand about its opportunity in SEO! Tremendous effect of long-tail keywords in SEO! Long-tails make up a major share of your search traffic: from all the traffic on Web, long-tail keywords have major concern among them almost 70%. When you scroll back towards the keywords for which your website ranks on Google, you will observe that most of them are long-tails – most of which you likely haven’t even been optimizing for! That means the majority of your organic traffic comes through the keywords you haven’t even been consciously targeting. Imagine what could happen if you invested just a bit of effort there! They are easy to rank for: As defined above, long-tail keywords are low-demand, low-competition terms. With barely any of your competitors targeting them, it’s very easy for you to step in. Their conversion potential is high as long-tails are specific: Whatever your micro-conversion is, smart long-tail keyword research can help you pick the terms that are geared towards that goal. These could be purchase intent keywords or informational queries to win blog subscribers. Whichever kind you are looking for, it’s easy to see if a long-tail term fits into your conversion strategy or not. How can you successfully target the long-tail keywords? Util ize the long-tails you already rank for: The best way to do that is by logging into your Google Search Console Go to Search Traffic > Search Analytics, and select Clicks, Impressions, and Position to be displayed. Here the data is displayed for the last 28 days, but you can tweak this if you need to. Then download the entire list of terms you rank for in Google. From that list only review long-tail keywords and eliminate the long-tails that you already rank #1 for. You’ll end up with the list of terms that you can improve your ranking for. 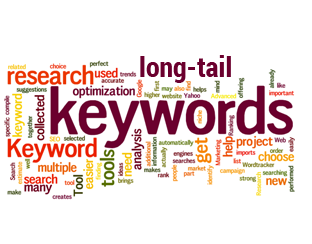 Research new long-tail keywords: Now, you already have a beginning keyword list i.e. the more generic terms that you are targeting with your site. It’s a good idea to look for some new long-tails based on your seed list. For that use search engines’ Auto complete and Related Searches. These are brilliant sources of the long-tail gems you’re after. The easiest way to do that is with Rank Tracker, through this your keywords will appear under the Target Keywords module, where your Rank Tracking and Keyword Map dashboards are. Do the mapping and tagging: After getting the bunch of long-tail keywords that you can rank your pages for with relatively little effort. Now it’s time to assign those keywords to landing pages and do some tagging so you can navigate through your data easily. Even though these are the keywords that you already rank for, it’s still a good idea to assign a landing page to each of them. So, you’ll be able to easily see the entire list of long-tail keywords associated with each landing page in your keyword map — this will make optimizing the pages at the next step quicker and easier. Optimize your pages: Finally, you have a pretty extensive list of long-tails mapped to each of your landing pages in Rank Tracker. Always start with few long-tails into your content and see if your rankings improve for the synonyms as Google is pretty good at figuring out synonyms and topics. By editing your content, try to use the long-tails in headings, subtitles, and bullet points. If a part of your content directly addresses a certain query, it’s a good idea to use it as this part’s heading. Or, if there isn’t a part that addresses that but it can be included — you can use it in! Also, do not forget about the internal links, which are the great spot for your long-tails. Same goes with the backlinks that you can control. Whenever you link to a page from an external resource, remember the long tails you researched for the page and use a variation of one of them for the backlinks anchor text. One last thing, always remembers to regularly measure the rankings and traffic for the terms, so that you can observe which of your tactics are working best. Hopefully, this blog will help to win lots of targeted visitors to your site and become a great example in the world of long-tail keyword targeting!! For more tactics and hacks about targeted long-tail keywords take a look at: www.savit.in – your guide for deriving best SEO services!!! How Can Small Businesses Compete with Big Players in SEO? © 2004 - 2016 Reserved by Savit Interactive Services Pvt. Ltd., Mumbai and Pune - A Leading SEO Company India.